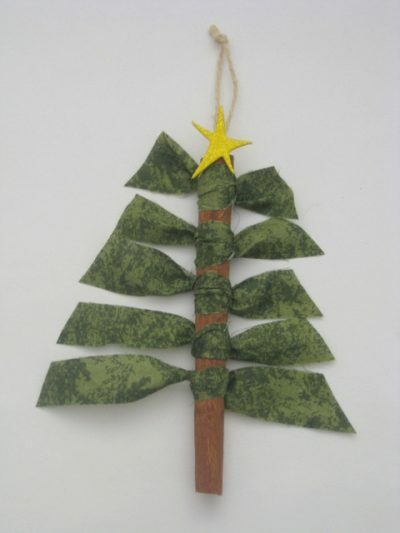 This Christmas tree ornament was made with a cinnamon stick and fabric. It smells wonderful and is a great project that the kids will love. Perfect for gifts!